Complete coaching for 10 +2 students of MPC and MEC Stream. We provide “complete coaching for 10+2 students of MPC &MEC stream”. His explanation technique is such that he incorporates theory in practical life situations for better understanding. Adopting a unique and student friendly teaching style Salman sir is undoubtly regarded as one of the rarest faculty available in Hyderabad. 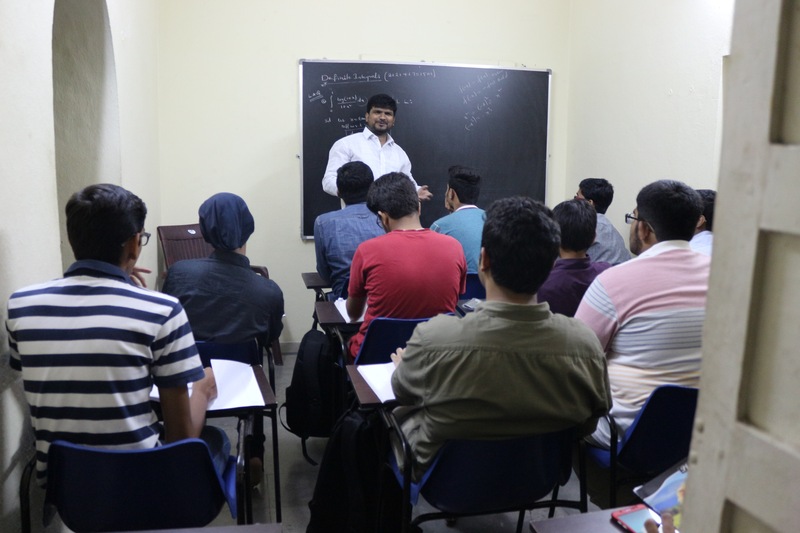 With nearly 10 years of experience he is able to connect to the mentality of the student at ease which helps the students to adopt to the syllabus and environment very easily. with no more description required, he is the best teacher available. Individual One – to – One Doubts: One to one sessions between the teacher and the student for doubts clarification or Personalized attention. Special classes will be conducted to prepare the students for board exams and various competitive exams. Micro Assignment : A special booklet will be given to practice the questions of Telugu Academy Text Book thoroughly. A specially designed book by us will be given to solve problems in short and easiest methods. I did my M.Sc from Osmania University [ CAMPUS ] in 2006. Since then I have been guiding students for their better education. “There are no secrets to success. It is the result of hard work and learning from failure”. Aimstutorial is a student centric educational web portal which provides quality test papers and study materials for the students preparing for intermediate (10+2) or targetting various entrance exams. During past few years, a number of surveys on students were made to better understand their problems regarding their studies and their basic requirement. This website is basically a conclusive solution of the surveys. Test and study materials are according to the student’s needs. We are working for free education that’s why our most of the contents are in the form of PDF files. Students can download contents and use it off line without internet connection. We are trying to provide maximum help in the field of intermediate study material, Test Papers, Assignments, Study material for EAMCET/ JEE MAINS. AIMSTUTORIAL is founded, to provide qualitative education for needy students.To make the students understand and master basic concepts in the Subjects of Mathematics , Physics and Chemistry.To help Students prepare for various talent search exams and competitive exams.